The study, "Galactic Panspermia," recently appeared online and is being reviewed for publication by the Monthly Notices of the Royal Astronomical Society. The study was led by Idan Ginsburg, a visiting scholar at the CfA's Institute for Theory and Computation (ITC), and included Manasvi Lingam and Abraham Loeb – an ITC postdoctoral researcher and the director of the ITC and the Frank B. Baird Jr. Chair of Science at Harvard University, respectively. 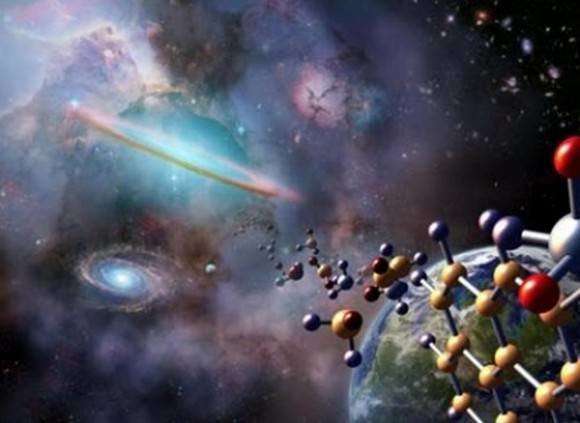 As they indicate their study, most of the past research into panspermia has focused on whether life could had been distributed through the solar system or neighboring stars. More specifically, these studies addressed the possibility that life could have been transferred between Mars and Earth (or other Solar bodies) via asteroids or meteorites. For the sake of their study, Ginsburg and his colleagues cast a wider net, looking at the Milky Way Galaxy and beyond. "Following that discovery, Manasvi Lingam and I wrote a paper where we showed that interstellar objects like `Oumuamua could be captured through their gravitational interaction with Jupiter and the Sun. The solar system acts as a gravitational "fishing net" that contains thousands of bound interstellar objects of this size at any given time. These bound interstellar objects could potentially plant life from another planetary system and in the solar system. The effectiveness of the fishing net is larger for a binary star system, like the nearby Alpha Centauri A and B, which could capture objects as large as the Earth during their lifetime." "We expect most objects to likely be rocky, but in principle they could also be icy (cometary) in nature," Ginsburg added. "Regardless of whether they are rocky or icy, they can be ejected from their host system and travel potentially thousands of light-years away. In particular the center of the galaxy can act as a powerful engine to seed the Milky Way." This study builds on previous research conducted by Ginsburg, Loeb and Gary A. Wegner of the Wilder Lab at Dartmouth College. 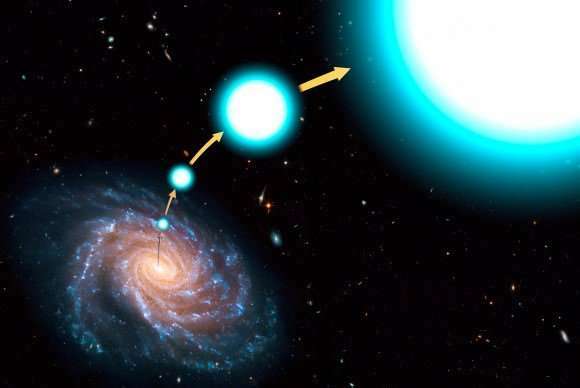 In a 2016 study published in the Monthly Notices of the Royal Astronomical Society, they suggested that the center of the Milky Way could be the instrument through which hypervelocity stars are ejected from a binary system and then captured by another system. "In the new paper we calculated how many rocky objects that are ejected from one planetary system can be trapped by another one across the entire Milky Way galaxy. 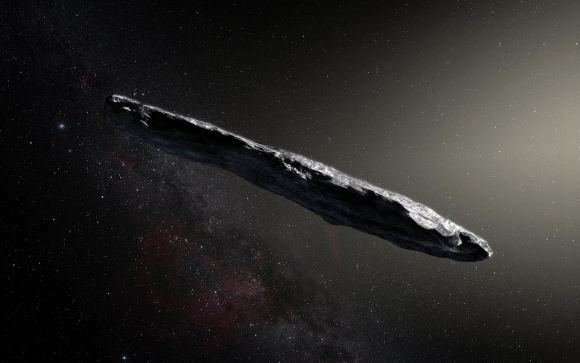 If life can survive for a million years, there could be over a million `Oumuamua-size objects that are captured by another system and can transfer life between stars. 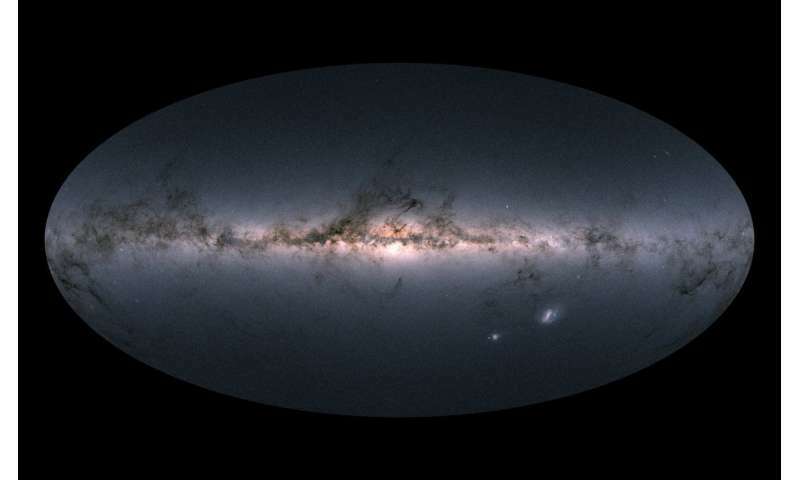 Therefore panspermia is not exclusively limited to solar-system sized scales, and the entire Milky Way could potentially be exchanging biotic components across vast distances." "[O]ur physical model calculated the capture rate of objects in the Milky Way which strongly depend upon velocity and the lifetime of any organisms that may travel on the object," added Ginsburg. "No one had done such a calculation before, and we feel this is quite novel and exciting." From this, they found that the possibility of galactic panspermia came down to a few variables. For one, the capture rate of objects ejected from planetary systems is dependent on the velocity dispersion as well as the size of the captured object. Second, the probability that life could be distributed from one system to another is strongly dependent upon the survival lifetime of the organisms. "Smaller objects are more likely to be captured. If you consider Saturn's moon Enceladus (which is very interesting in itself) as an example, we estimate that as many as 100 million such life-bearing objects may have traveled from one system to another! Again, I think it's important to note that our calculation is for life-bearing objects." The study also bolsters a possible conclusion raised in two previous studies conducted by Loeb and James Guillochon (an Einstein Fellow with the ITC) back in 2014. In the first study, Loeb and Guillochon traced the presence of hypervelocity stars (HVSs) to galactic mergers, which caused them to leave their respective galaxies at semi-relativistic speeds – one-tenth to one-third the speed of light. In the second study, Guillochon and Loeb determined that there are roughly a trillion HVSs in intergalactic space and that hypervelocity stars could bring their planetary systems along with them. These systems would therefore be capable of spreading life (which could even take the form of advanced civilizations) from one galaxy to another. "In principle, life could even be transferred between galaxies, since some stars escape from the Milky Way," said Loeb. "Several years ago, we showed with Guillochon that the universe is full of a sea of stars that were ejected from galaxies at speeds up to a fraction of the speed of light through pairs of massive black holes (formed during galaxy mergers) which act as slingshots. These stars could potentially transfer life throughout the universe." As it stands, this study is sure to have immense implications for our understanding of life as we know it. Rather than coming to Earth on a meteorite, possibly from Mars or somewhere else in the solar system, the necessary building blocks for life could have arrived on Earth from another star system (or another galaxy) entirely. Perhaps someday we will encounter life beyond our solar system that bears some resemblance to our own, at least at the genetic level. Perhaps we may even come across some advanced species that are distant (very distant) relatives, and collectively ponder where the basic ingredients that made us all possible came from. Micro-organisms, from the core of the Galaxy? The one our star system is orbiting? Is just one of the most flagrantly nonsensical claims in this article. I would not agree with any panspermia fantasy. However, I might have been able to dredge up some respect for the speculative intentions by the authors? Maybe, if they had advanced the hypothesis that biology may have spread from middle-age star systems in the Galactic goldilocks zone. What has been observed to date, is that Earth-life originated a few hundred million years after the proto-planet Earth had pulled itself together enough to sustain oceans. Earlier stars had not yet achieved nucleosynthesis of metal elements used in pre-organic chemical processes to bootstrap the simplest living organisms. Younger stars with young planets are just starting the process of sorting out if any of those worlds will be capable of sustaining life. With our own Solar System as a grisly example. We can predict that most of the possible candidates will also be stillborn. No matter what you want or wish for. What you pray for or dream of. Harsh reality sneers at your fantasies. Why isn't there any variation in basic bio-chemical structures & processes? If life could have begun & evolved on other worlds? Why isn't there any variations in basic organic coding? If the Earth had been receiving alien micro-organisms for billions of years? Where are they skulking? Second, it is credulous to believe that even the hardiest of organisms could survive, with their reproductive coding intact traveling through space for millions or billions of years. Which leads to, how did those travelers get into space? At a velocity sufficient to claw their way out of their native gravity-well? Then gain the delta-v n to break loose of their original star system? ... Where are they skulking? Sometimes, no matter what you wish for, what you pray or dream for, harsh reality sneers at your snubbing fantasies. Okay arc, I'll bite. Show me a single example of alien life. Just one specimen is all I'm asking for. That can be proven to not be a native progeny of our, the Earth's biological lineage. Fictional and speculative and drunken hallucinations do not count. support our view that this biological particle may have arrived from space." 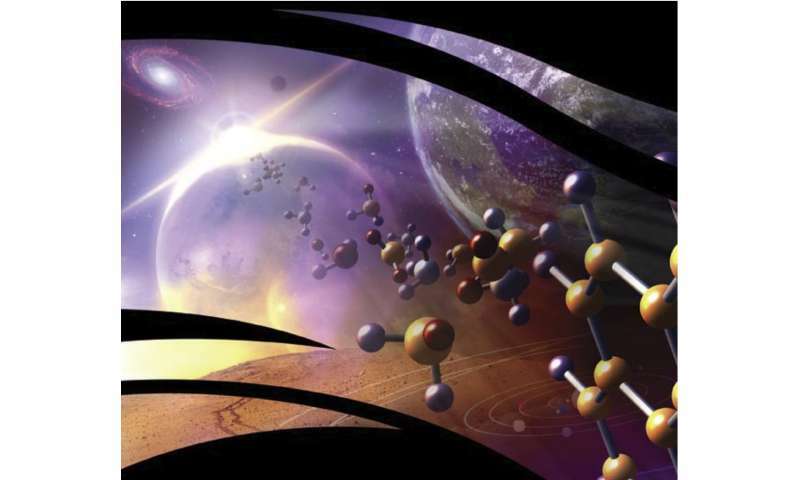 Plus, there are many other papers describing observations of the basic chemical building components for life out in space, in our solar system as well as beyond. Its not difficult to look these up. The simplest next step would be to allow further experiments to verify evidence of life at every location we send deep space probes. Mars would be a good start. It is too bad that they ignored the results from the Viking missions to Mars. But I have heard recently that they plan on new missions with upgraded equipment to find signs of small life on or underneath the surface of the planet. arcmetal. I read the link you provided but remain firmly skeptical of their conclusions that the micro-organisms collected by balloons in the Stratosphere are of Non-Earth origin. Simplest objection. None of the samples taken did not mirror Earth biology, exactly to the same DNA. None of the samples displayed primitive (pre-Archaean) anaerobic chemistry. NASA has had to admit, using the most lethal processes in clean-room facilities. Fail to prevent Earth bugs from hitching a ride on rockets into orbit. Since the very first rocket launches. And we are to suppress our skepticism to believe that ascending balloons, from the Earth's surface, are by some miracle free of contamination? To date, none of the probes to comets or asteroids show any evidence of living inhabitants. What has been discovered in the upper atmosphere can be equally attributed to weather uplift from surface up into the higher atmosphere. Or, do you claim that balloon-spiders are aliens? "The researchers claim that the discovery of glycine is the first step in establishing the crucial link between amino acids in space and the emergence of life in the solar system or, indeed, elsewhere in the galaxy." I don't know if its possible to detect the spectral lines of a virus, but maybe someone will find a way. Jumping from chemistry to assuming there must be organisms based on those chemical processes? Is a pretty far leap of faith! Your desire for panspermia theology to be proven true? You need to reverse the process of life cycles. And prove that there are residual chemicals of excretion and decay to be detected across the Cosmos. i.e. you could speculate that the materials you have found. Might be used to construct a house.Without ever finding a house to show as an example. Or, you could dig up a ruined building and reconstruct that it was once a house and a home. Yeah, I know, the gibbering religionists would claim this as "proof" of their delusions. However, I think it is a good analogy for my Theory of Stupid Design. If the builders were too incompetent to construct a stable structure? Kinda makes all that religious crap meaningless noise. Panspermia has an implication that you have to go back in time to find its origin. On the earth we have cyanobacteria living in rock. The escape velocity is around 25,000 mph. That complicated algorithm in the cells might survive. Viral and bacteria survive long in the polar ice. To cross our galaxy takes 100,000 light years. If fragments of the surface scatter like a shotgun how long before the concentration falls to a lifeless state? How thick is life in your back yard? Life might escape with a hypervelocity star. The life planet might not survive the tidal forces mixing the 3 feet of living planetary surface with miles of dead interior. Looking at the milky way you run into a wall of stars and dark matter that loops you right back. M. Tegmark said life is a state of matter. Entropy suggests that when the universe was 4 million years old that lifes algorithm was possible. Life expanded with the universe. If true, life is everywhere and can be found in the atmosphere. Life might have originated through quantum tunneling chemistry. Cold cloud barely lit by a red dwarf. Quantum mechanics might provide the entropy to have enough complexity in orbiting clouds of elements to create a machine of changing states. It is odd that our mitochondria run off of infrared and deep red light. We are the only creatures on the earth that use fire. Our thyroid and eyes are placed where they can be exposed to the flickering infrared from a fire. Eukaryote cells might have been delivered by a red dwarf and joined with the prokaryote cells. The Kuiper belt shows interaction with another star. The state of the early holographic universe might have allowed for a complex projection to begin the first state of a living state machine. I am sure we could find a Calabi Yao manifold that corresponds to a life form start up. So, biology is not based on chemistry? That is interesting. I had never heard that before. I'm not so sure that it would require a specific origin. I suspect that bio matter has been falling to Earth ever since its beginning, and continues to this day. It probably has been falling on every planet in our solar system since its beginning, but here on Earth we have the best environment for it to flourish, and so it does. arcmetal you are deliberately misinterpreting my comment that chemistry may not always result in life. To your false conclusion that I meant that chemistry could not result in life. For the rest of you and your ridiculous delusions that there must be panspermia because you wish it to be true? Evidence? Got any? Going to share or just keep it hidden under your bed? Produce the physical evidence. From reproducible experiments by reputable sources and with multiple verifications. Of any reproductive lifeform not sharing Earthlife prions, RNA or DNA. You are delusional if you believe there is only one, singular pattern for life across a cosmos of random chance. What keeps reviving the rotting corpse of panspermia? Is the inability of people to comprehend the passing of Time and the vastness of Space. Nor can they visualize the lethal intensity of the environment in Space. Well, if you say something absurd, you open yourself up to easy ridicule. So, are you saying that you think its possible life can originate from basic chemical compounds. ... backwards again, and saying that Earth is at the center of all life in the Universe. Some would hope those ideas died with the invention of the telescope. Relax, it's not quite that bad. You know we have only found life on earth, since it's the only place we are capable of looking. We also know life started here just as soon as it was able, remarkably early. We know about extremophiles and that there are multiple places in the solar system where life might possibly exist. We also know impacts can transfer rocks between bodies in the solar system and that extremophiles might be able to survive the transfer. Plenty of good published science on the above, look it up. This just takes it a step further saying galaxies can exchange whole solar systems and planets as well. The only speculative bit is whether there is actually life on these bodies being exchanged. Being the only planet with Life, at this time. Is not the same as claiming that the Earth is the center if the Universe. This is still an early epoch for the Universe. Earthlife is an Outlier Sooner. Our bad luck to exist at a period of mostly uninhabited, uninhabitable planets. Perhaps over the next few hundred billion years, a multiple of simultaneous Living Worlds will be possible? Perhaps not. As for rocks, concealing microscopic life, getting blasted into space against the Earth's Gravity Well? The Sun's own Gravitational Attraction would remorselessly pull those miracle rocks into the Sun's fiery maw. Well. what about Venus? If Earthlife bearing rocks get pulled inward? Then some of those would have run into the Second Rocky World. Yet after billions of years and countless infalls? For all the delusions of "Life Conquering The Cosmos"? There is not yet the slightest shred of evidence for Earth or Alien Life establishing itself on our neighbor. I think people have a question, why don't we see new life from the dust on the earth or off, all the time? Even now the infalling dust of space seems un-seed like. Is our planet so inhospitable to life that genesis is not the norm? The thin film of life once exposed to a blender or a supernova will not regenerate. Where is new life underfoot? Where is the continuous evolution from brand new life. Since we are in an advanced stage of iterative evolution, what was the process or origin of life. Perhaps Mars, an ocean on one of our extraordinary moons? How far can you extrapolate panspermia? We have yet to find all of the mysteries or answers. What if life is too complex to have originated in our solar system? Then where in our universe. Life is a thin film on our planet, land or ocean. It is limited by the thousand watts per meter of light (just the red) and the environment. Life is absurd. This thin film shows just how unlikely and how luckey we are to ask questions. I think Panspermia is possible, but I'd like to see a lot more evidence. That said, there are lifeforms on Earth that use different DNA and RNA. There appears to be more than one way to do this. We also know life started here just as soon as it was able, remarkably early. The 64billion dollar question is HOW did it start all by itself via random chemical and physical processes with no outside intelligent and powerful help? To be clear: All currently known physical, chemical, biological and informational theory points to the fact that it is impossible for life to arise spontaneously from non-living materials. To put it bluntly - abiogenesis is dead in the pond scum. If you want to disagree please supply convincing observational support to the contrary! freddiebaby, since the only evidence you have to supply is stuporstitious gibberish? Then all the reply you deserve is comedic sarcasm.